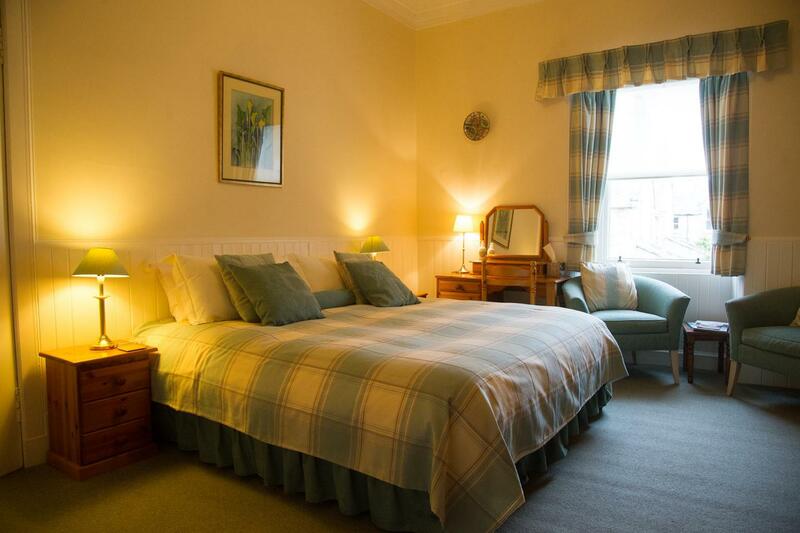 Inveran Lodge offers three well appointed guest rooms situated around a central elegant drawing room. 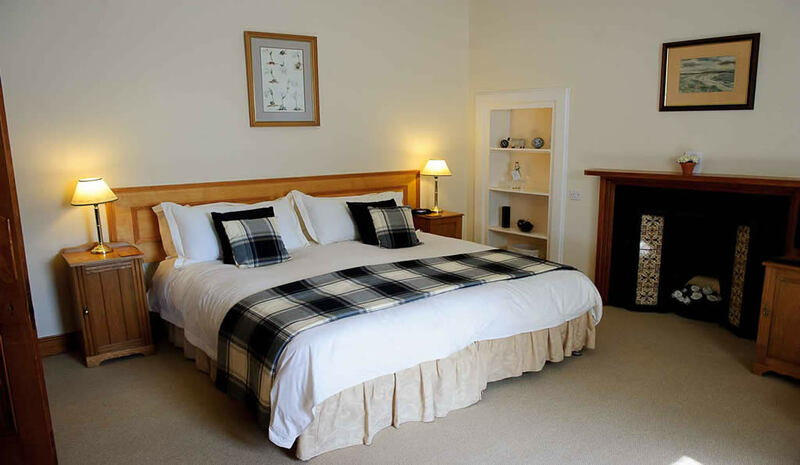 All rooms are either 6 foot king-size doubles or can be twinned and have the advantage of bath and shower en suites. 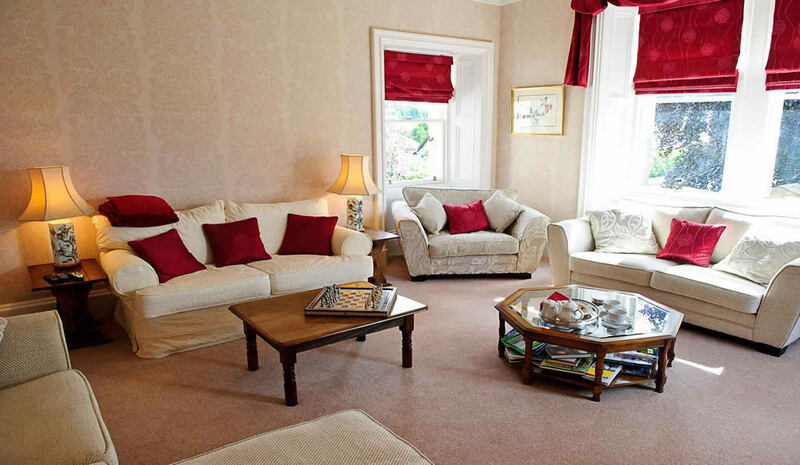 These rooms are all situated on the first floor of the establishment but guests are first greeted through the vestibule and hall area where the superb dining room can also be located. 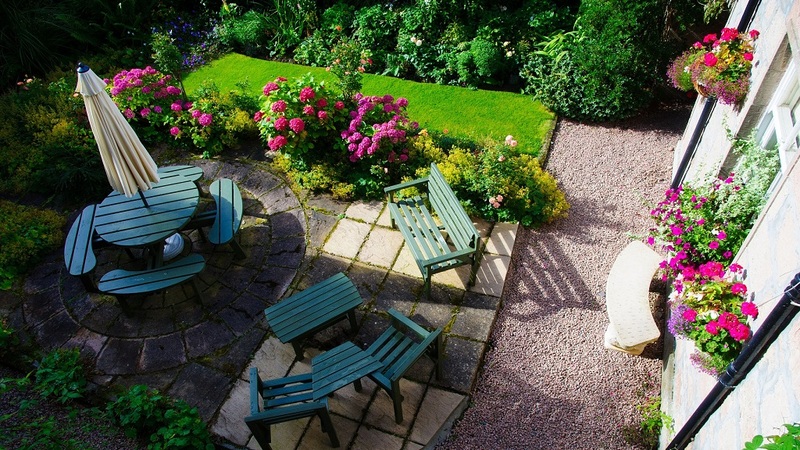 Full Scottish Breakfast is served in this room which over looks the front garden and makes use of the large Victorian dining table. Whilst traditional breakfast are on the menu, Inveran offers all dietary flexibility for this most important meal of the day. 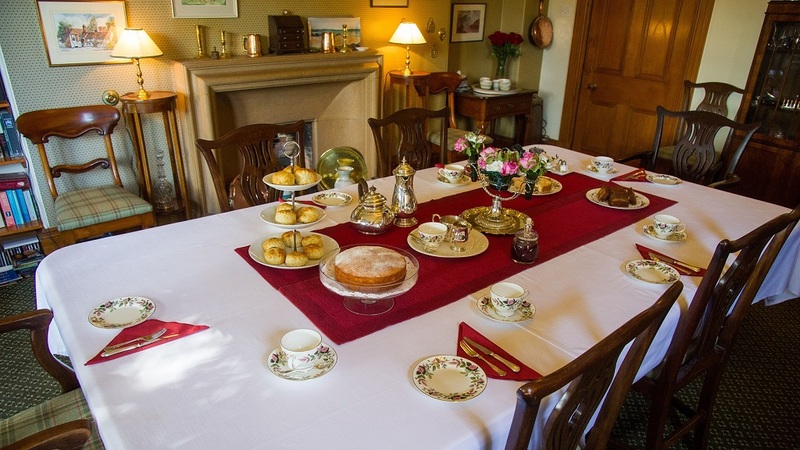 After a long day sightseeing, golfing or just enjoying the views, come home to Inveran and enjoy an afternoon tea laid out just waiting for you in the Butler’s Pantry. Freshly baked cakes or Scottish shortbread are always favourites for our guests! 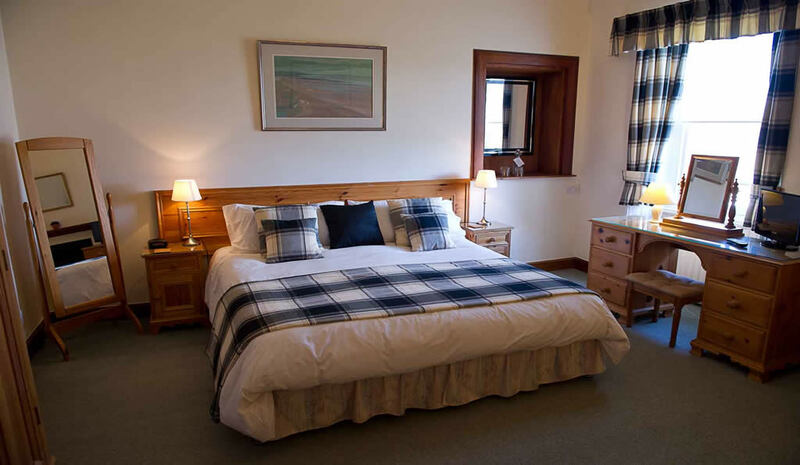 Inveran Lodge can offer a laundry service, booking service for restaurants or visitor attractions and full golfing itineraries. Just call and tell us where you want to play and we do the rest. In 1891 two brothers retired from their hotel in the Sutherland village of Inveran and one Alistair Macrae came to Nairn and built his house. The other brother built a house of similar name in Dornoch. 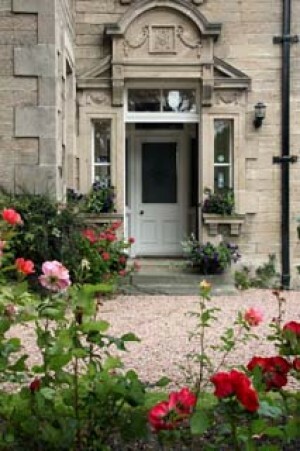 The house built of Scottish stone carries the year over the dining room bay window and over the front door a grand arch houses the initials AM. In those days the house had 6 bedrooms, drawing room, parlour and dining room. Leading from the kitchen one entered the staff quarters and on into the rather grand coach house. In 1891 it would have been lit by gas lamps and remnants of these can be seen when decorations have been undertaken in the house. The house was served by a bell system which operated into the kitchen for the staff to answer. A horse and carriage were obviously needed and the ground opposite in those days would have been fields. The bell system now longer is in use but guests often come into the kitchen to view the bell and flag case a la Downton Abbey! All the woodwork is Canadian Pine and the staircase is of special interest. 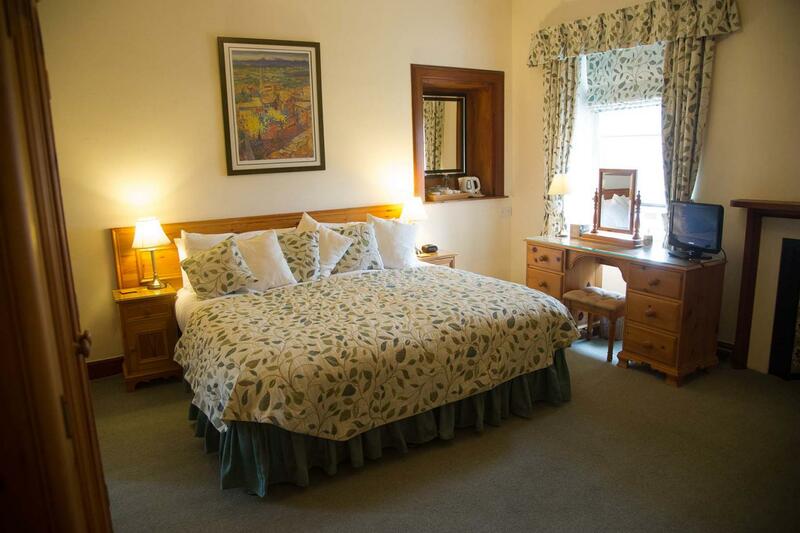 Although most of the rooms are carpeted for quietness the floors are actually stained and could be used as they are in good condition and have been renovated in the Proprietors Lounge. 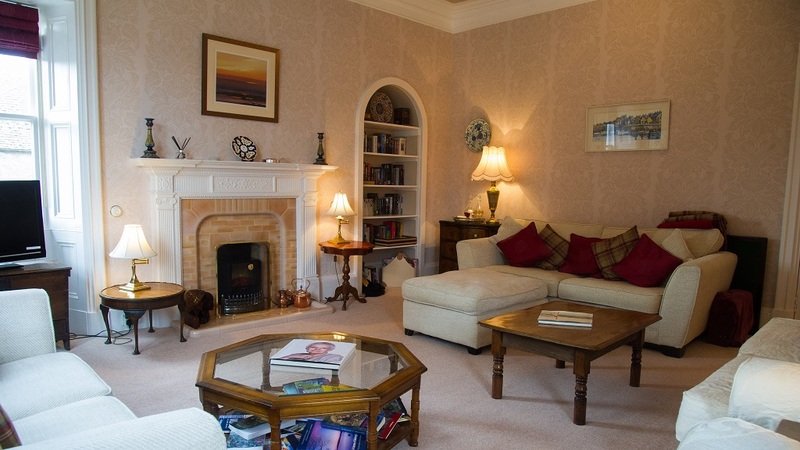 Every room in the house has a fireplace although some are not used now but add to the Victorian feel and atmosphere. 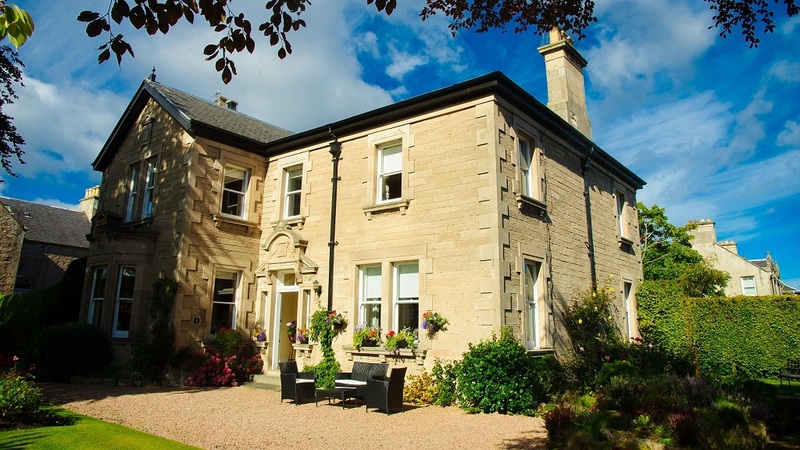 There are many houses of this nature in the West End of Nairn and guests are always impressed by the grandeur and imposing architecture that greets them. It is interesting to note that as in many sides of Victorian life what was in view was important and the stone at the front of Inveran is vastly superior to that of the unseen side and back. The Coach House was probably built by the apprentice boys and the experienced workmen on the main house. Some of the wallpaper when stripped away showed names and dates from the 1800's with Decorator and Paste Boy both mentioned. 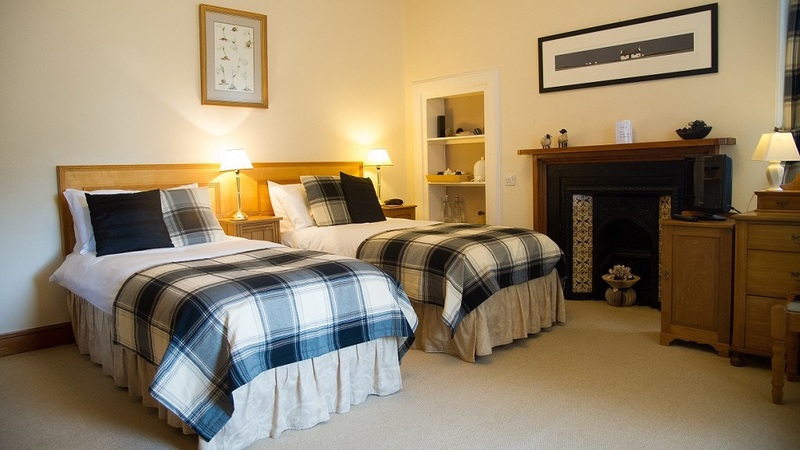 These days the bedrooms number just three on the first floor as the large room over the dining room with magnificent Adam style fireplace acts as a drawing room for guests. 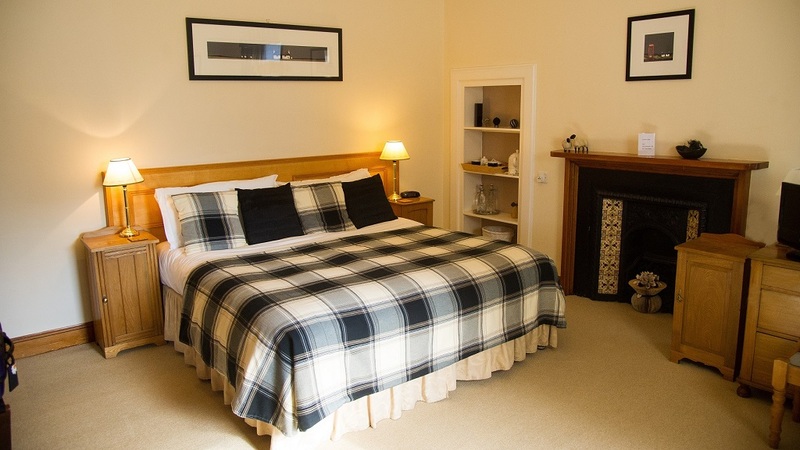 The old loo is now a full equipped laundry and all the bedrooms have been en suited with the dividing up of a small back bedroom.